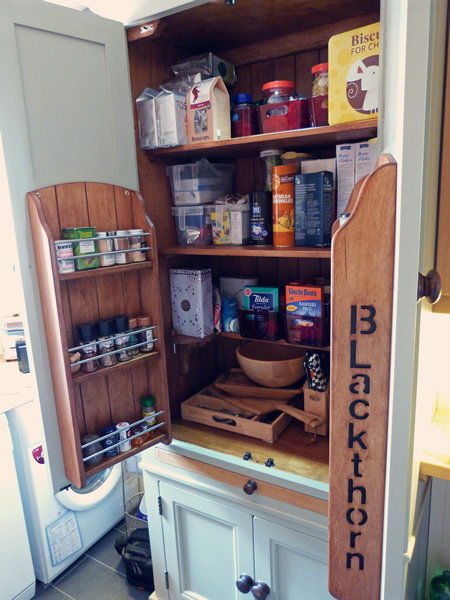 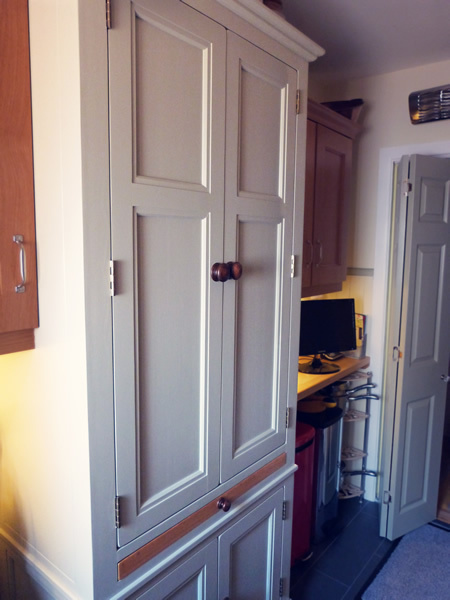 Having recently downsized, Elizabeth and Robert found that their new kitchen area had limited space, so they came to us to see if we could make them a larder that also included a table area where they could sit down to a quick breakfast. 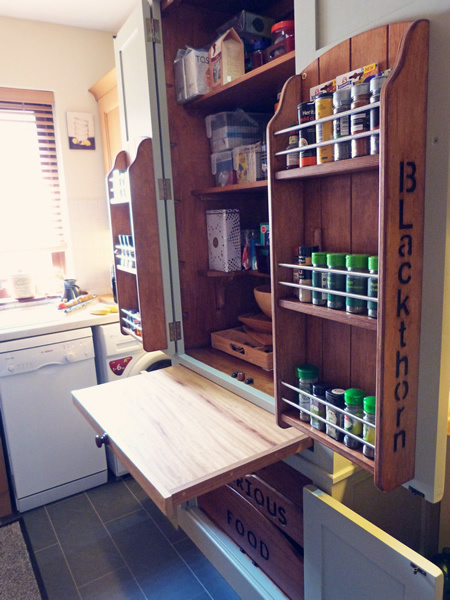 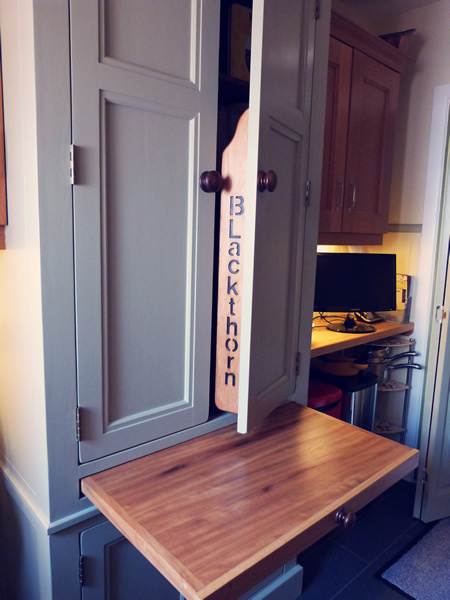 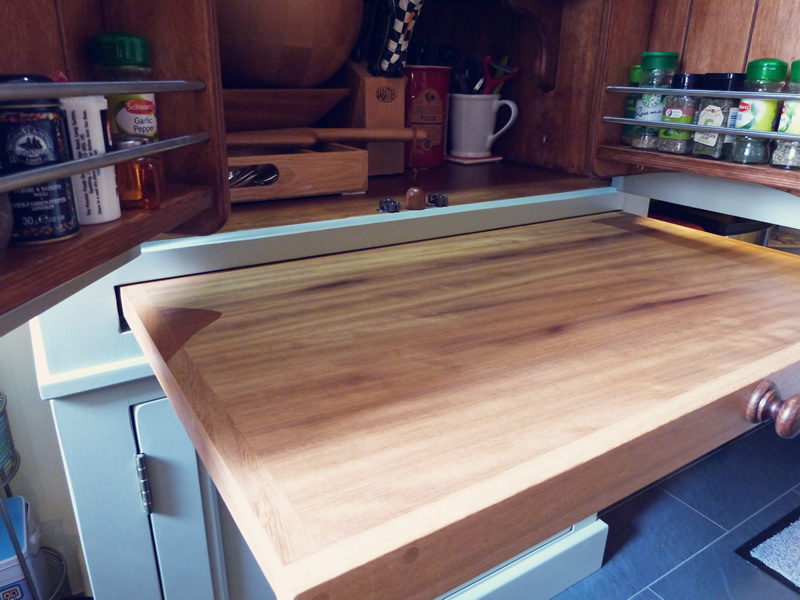 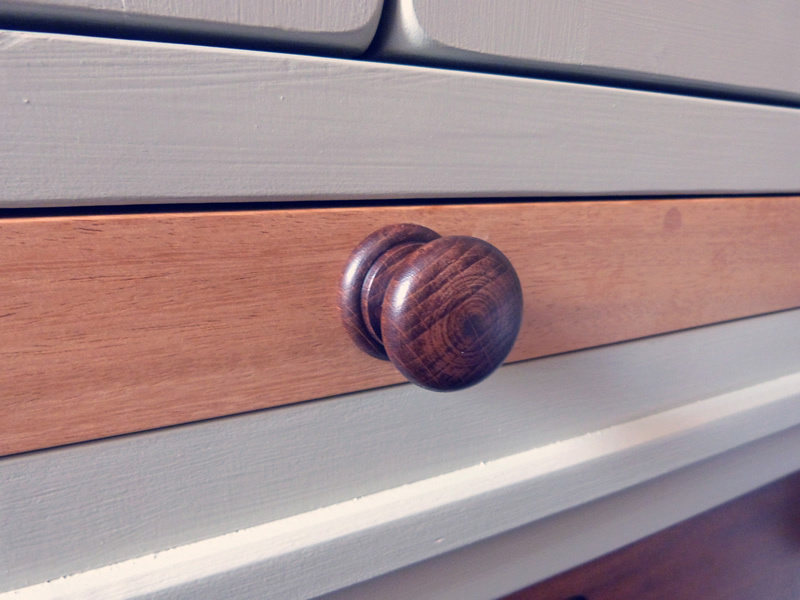 To meet their space-saving needs, we included a small oak table-top that pulls out from the middle of the larder like a drawer, and included a dowel to stop it from being accidently pushed back in while still in use. 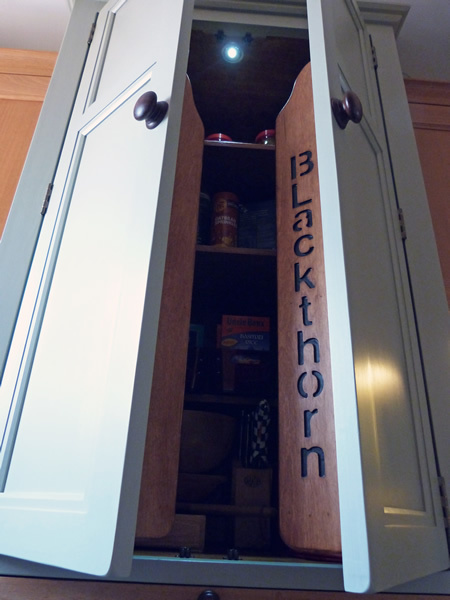 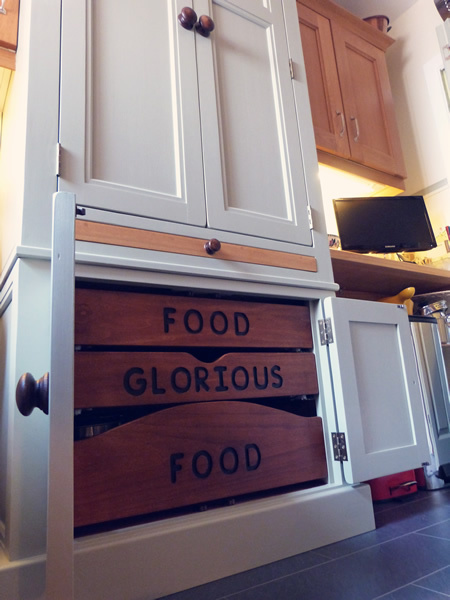 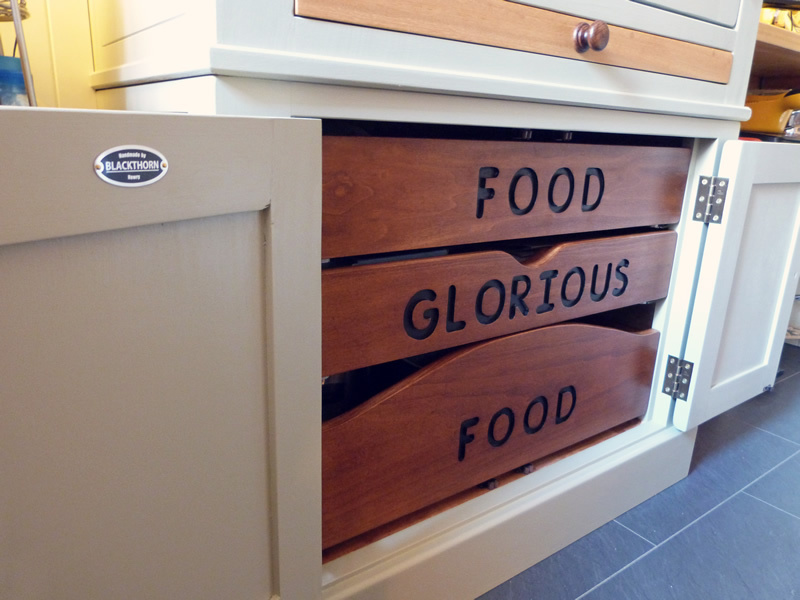 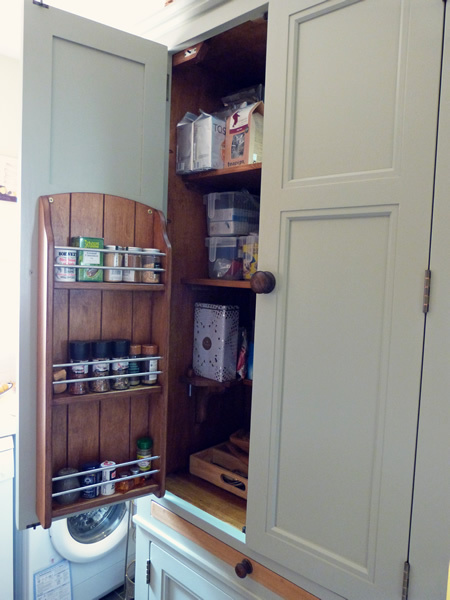 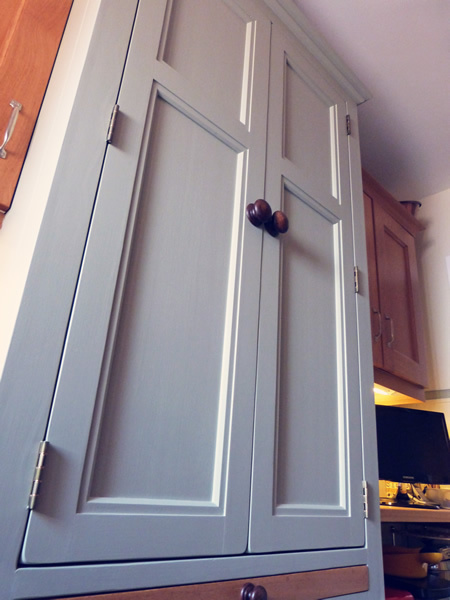 Elizabeth and Robert’s larder is handpainted in Farrow & Ball’s French Gray with accents of exposed wood finishes and “Food Glorious Food” is inscribed on the lower drawers at their request.